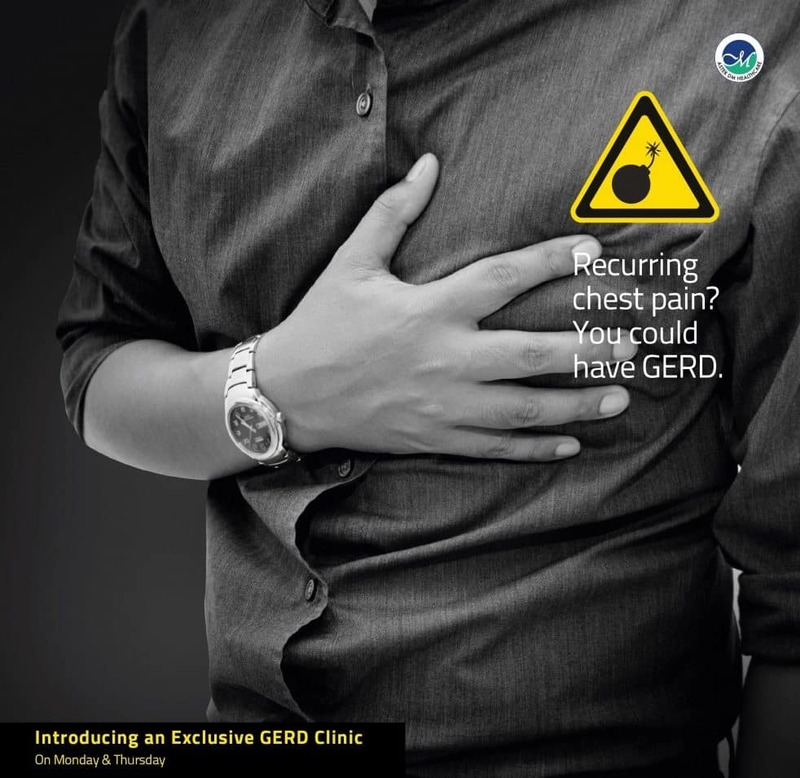 GERD is mainly an occurrence of the modern day lifestyle, smoking, poor eating habits, obesity, alcohol abuse and stress all contributes to GERD, which if not controlled can lead to severe complications. Visit Aster Clinic’s exclusive GERD Clinic on Mondays and Thursdays. Contact us to find out how we can help you overcome the problems of GERD, visit your nearest Aster Clinic today. Our Doctors are always on hand to offer you the best of personal care at all times. For more information or if you wish to book an appointment with Specialist Gastroenterologists, kindly fill in the form below.